The College of Science and Mathematics has a strong basic science focus with a growing emphasis on applied research, averaging over $10 million annually in grants and contracts. 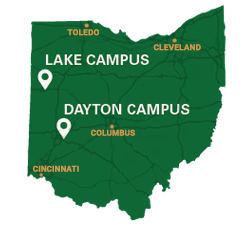 We maintain close relations with area hospitals, Wright-Patterson Air Force Base, the Air Force Research Laboratory, and the Air Force Institute of Technology which provide many unique opportunities for research collaborations. The college's eight departments provide the college with a unique blend of disciplines: from psychology to neuroscience or brain activity, chemistry to biochemistry, sensor development to sensory perception, and computational modeling of ecosystems to water percolation in soils.